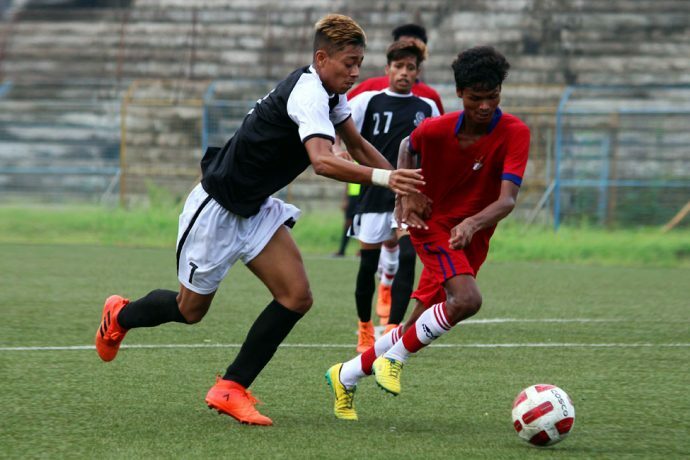 Mohammedan Sporting Club started their 122nd U-19 IFA Shield group stage campaign with a 1-1 draw against ATK on Thursday at the Barasat Stadium. After a barren first-half, ATK went ahead through Balaram Mandi in the 63rd minute but Deep Mondal restored parity sixteen minutes later. Mohammedan SC dominated possession from the first whistle and fired the first warning shots, with skipper Asif Hossain forcing a save from the rival keeper in the second minute, and Suraj Munshi did the same 13 minutes later. ATK were always looking to catch the Young Panthers on the counter and almost succeeded in the 27th minute when Stephanson Pale struck the woodwork with Mohammedan SC custodian Indrajit Sanyal well beaten. Mohammedan Sporting Club continued to dominate proceedings in the later stages of the half and ATK gave up possession on numerous occasions which allowed Mohammedan SC to put them under pressure. However, Young Panthers failed to convert the chances they created as the first-half ended scoreless. The second-half was more of the same with Mohammedan SC creating most of the chances, while ATK looked to pounce on the counter. While Mohammedan SC pressed high up, opponents ATK managed to take the lead against the run of the play at the other end. Balaram capitalized on a defensive error to beat Indrajit from close range in the 63rd minute. Having conceded, Mohammedan SC began attacking with intensity and managed to find the equalizer in the 79th minute when Deep headed home Asif’s cross to level the matters. The goal gave Mohammedan SC a much needed confidence boost and they increased their pressure up front dominating the game entirely but were finding it hard to break down the ATK defense. Ananta Kumar Ghosh’s charges were building patiently going forward with 10 minutes to play while ATK were defending with numbers behind the ball, with the hope of catching Mohammedan SC on the counter. The Young Panthers even had a legitimate looking penalty claim in the 87th minute which turned down by referee. ATK eventually held firm but Mohammedan SC were guilty of not testing the rival keeper enough as the final whistle blew ensuring that they started off their campaign with a share of the spoils. Mohammedan Sporting Club would face Sail Football Academy next on July 8, 2018 at the same venue.